Enabling this feature allows users to submit expenses for approval by an Expense Approver. If left switched off, user expenses will be automatically approved. Read more about Expense Approvals in our guide. You can also lock approved expenses from further editing by expense users. You can set the time recurring expenses are created (it is 10:00 am by default). Read more about creating Recurring Expenses here. 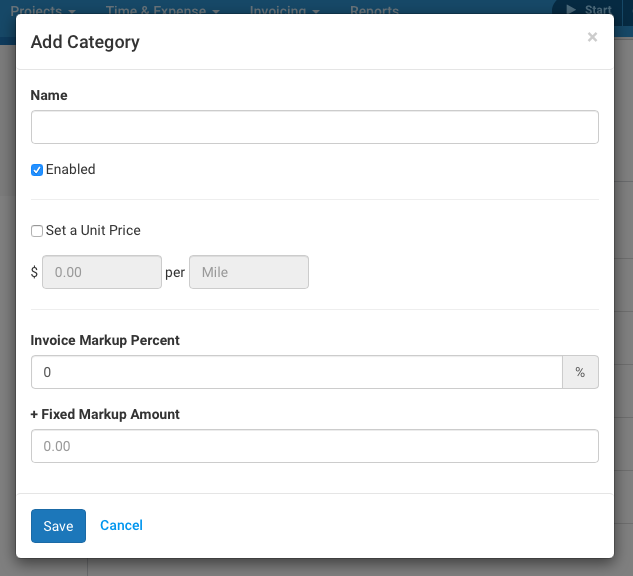 You can edit existing, or add new Expense Categories, with a specific unit price and also configure the markup based on a percentage or a fixed amount. Read more about categorizing expenses here. You can edit existing, or add new Expense Payment Methods. By default, each account has three payment methods set up. New payment methods can be added by clicking the Add Payment Method button. Do you need further help with Expenses? Read more about working with Expenses in Avaza here. You can also contact our support team via chat or email.